Unfiltered Sake with Natural Flavors! The lush aroma of green mangoes will transport you to a tropical paradise. 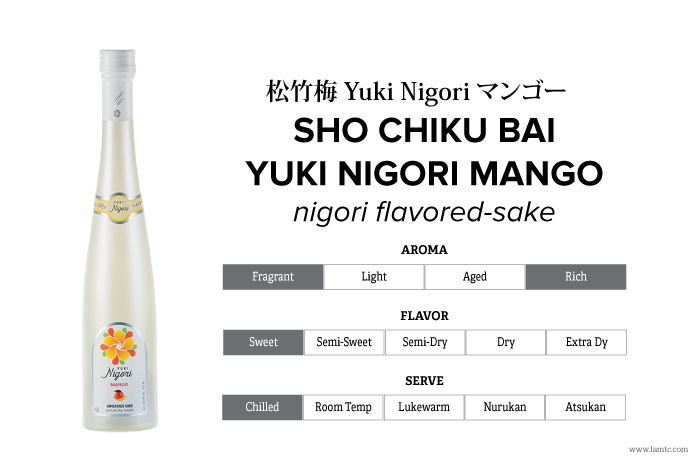 The slight tartness of fresh young mangoes complements the smooth and creamy texture of Nigori Sake. Be delightfully surprised!